Simple for beginners; powerful for experts. Click this button to download Angular IDE and then run the installer. Any missing software, such as npm, is set up automatically. Click this button to get the Angular IDE plugin from Eclipse Marketplace. Also included in our CodeMix plugin and MyEclipse full stack IDE. 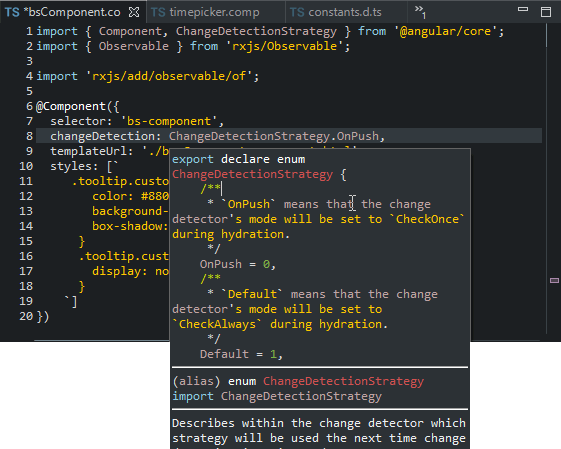 Advanced editing support for TypeScript 3.x by Angular IDE augments your development simply and effectively. 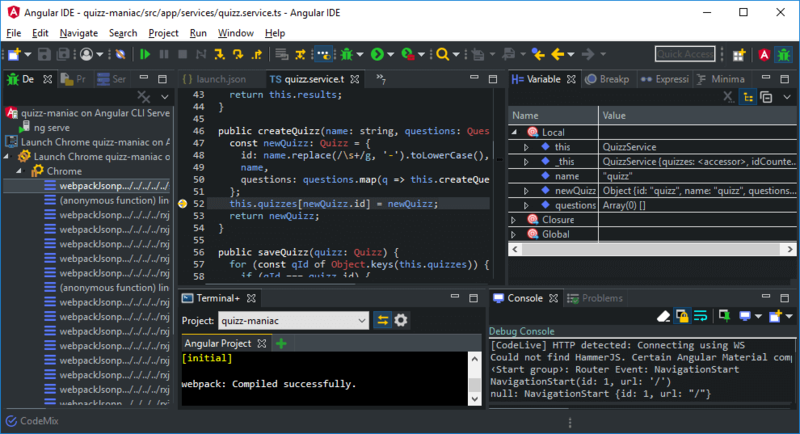 Head over to the learning center to learn more about TypeScript development in Angular IDE and how it can be tailored to your unique needs. Angular development goes beyond TypeScript with HTML template development critical to any application. 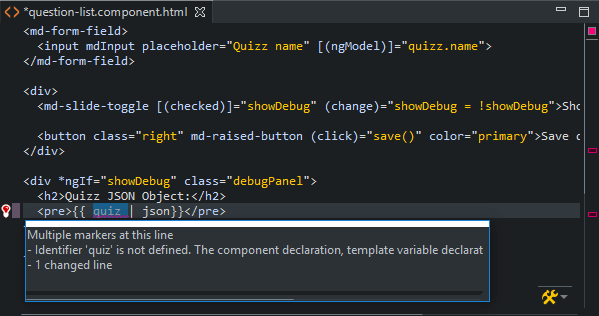 Angular IDE provides rich HTML template validation to keep coding moving. Take a moment to learn more about enhancements to your HTML coding with Angular IDE. Angular IDE builds on top of the angular-cli for servicing Angular applications and includes best-practices compliant generation of services, components and more. An enhanced terminal ensures paths and environment are ready for rapid development. Why not learn more about the role of CLIs in the modern web? Angular development is centered on modern web development practices including extensive use of the CLI. 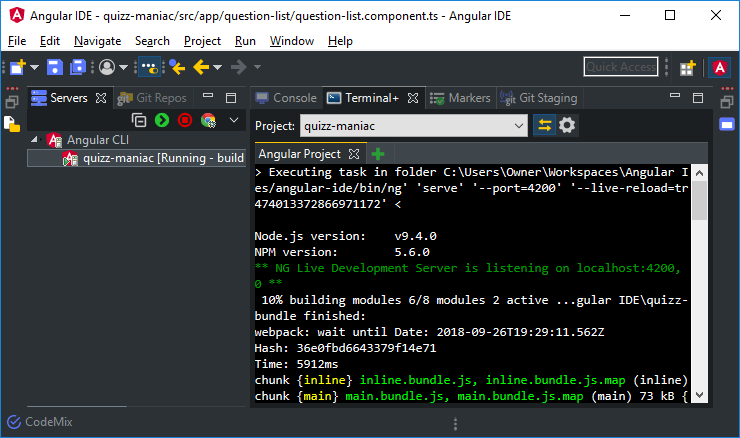 Yes, Angular IDE is an IDE but it is built around the principles of CLI development, including an advanced Terminal that helps initialize paths and even download Node if needed. We understand the challenges that come with implementing new technologies and introducing new software to the mix. Our development team is committed to partnering with you to make sure you get the most from Angular IDE by CodeMix. New to Angular IDE v2 is Live Chat. Just go to Help>CodeMix>Live Chat and start a conversation with one of our developers. Whether you need help using Angular IDE or just want to give us feedback on how we can make it even better, we are excited to hear from you! Live Chat is included with your license. Your success is our success! In addition to Live Chat, we also offer free support in our forums, an in-depth learning center, and step-by-step tutorials to help you get the most out of your software. Quickly get to the code you are looking for! Intelligent open declaration commands allow jumping between TypeScript files. Press Ctrl+Click or F3 to go to the definition of a symbol. Press Ctrl and hover over a symbol to see a preview of the declaration. The enhanced CodeLive flows even allow jumping to a corresponding component source right from within the browser the application is being rendered in. 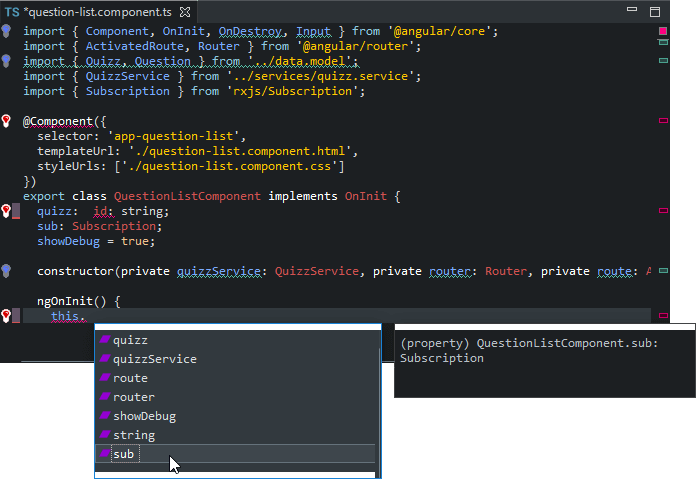 Angular IDE is built for coders, whether the code is their own or from someone on the team! Integrated support for debugging via an external Google Chrome browser provides a perfect match for smoothing out issues in Angular applications. Angular IDE is built on top of CodeMix providing access to a plethora of other capabilities for Web development. Ready to dive in? Let’s get started! Sales questions? We are here for you! Send an email to info@genuitec.com and we’ll respond promptly. Got a quick question? Hit us up on Twitter at @Genuitec. Technical questions? We’ve got answers! Select Help>CodeMix>Live Chat in the IDE to connect to one of our developers. Visit our learning center for a variety of articles to help you master Angular IDE. Our staff and community supported forums are a great way to get answers!